There have been a lot of updates this week. That’s the benefit of not having a job! I thought it was time to visit Sheldon and Helmet and see what was up. It looks like juice is up. 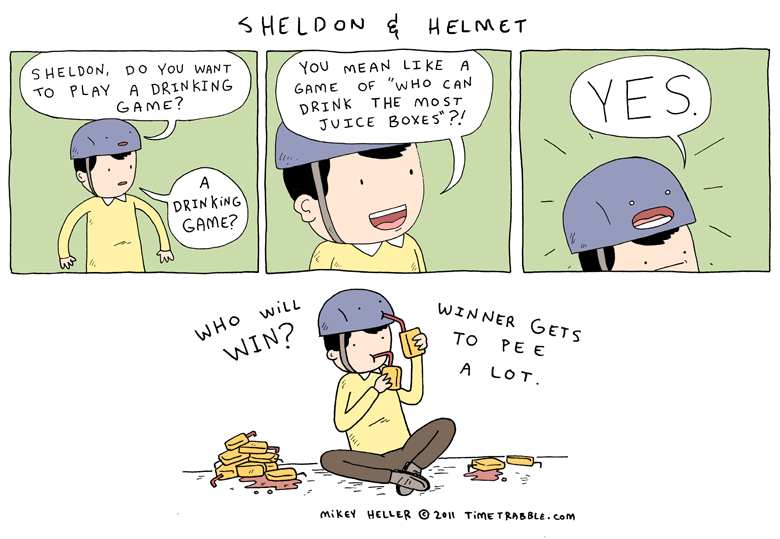 Does Helmet pee on Sheldon’s head? Looser can NEVER PEE EVER AGAIN!!1! While Bike-Helmet was at home, Sheldon was spotted leaving a motel with Beer-Helmet! Oh! say it ain’t so Sheldon……….. I would like to find out how Helmet pees. Yay! More Sheldon & Helmet!